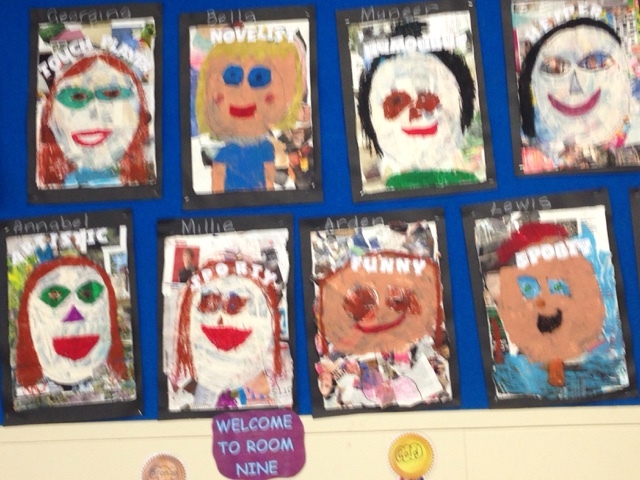 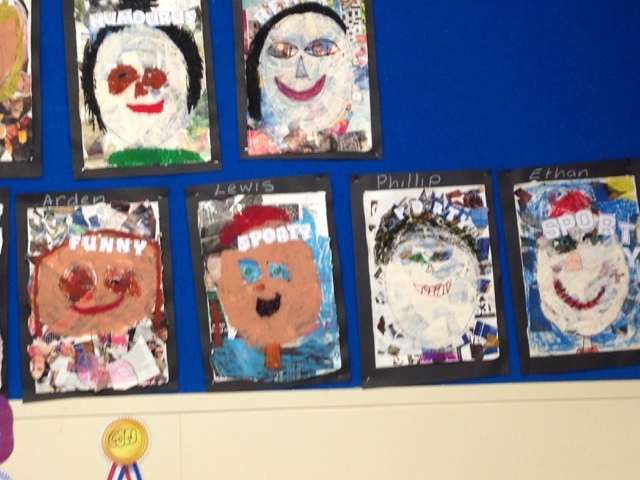 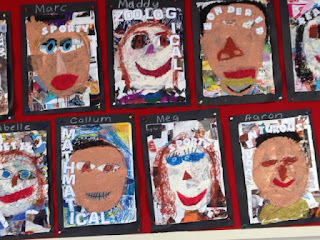 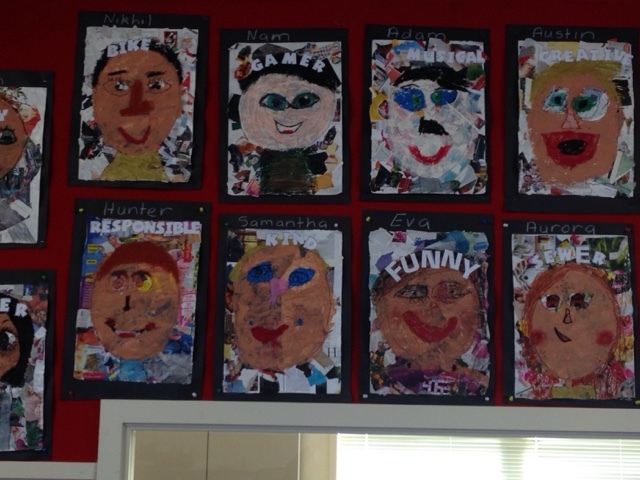 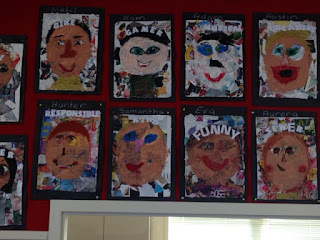 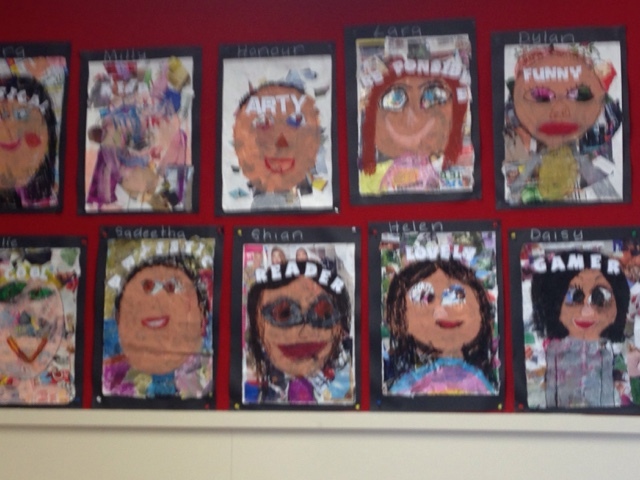 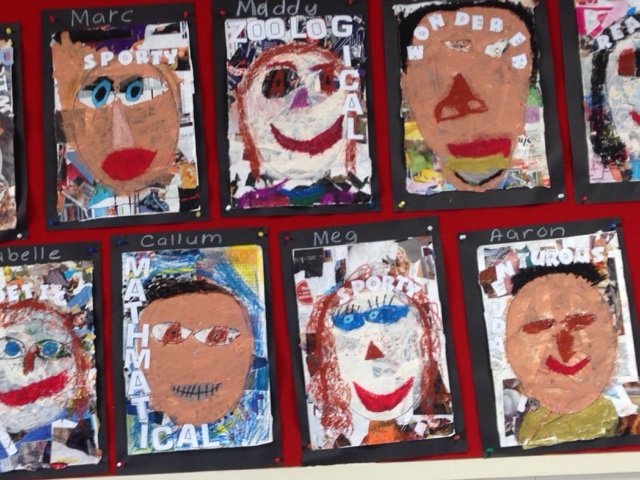 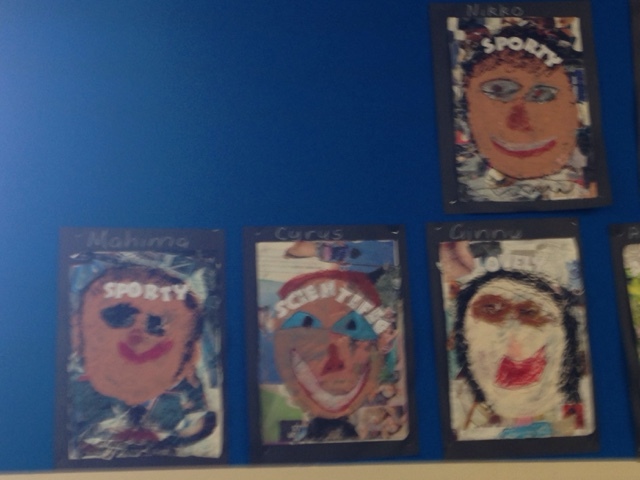 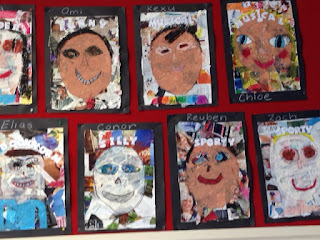 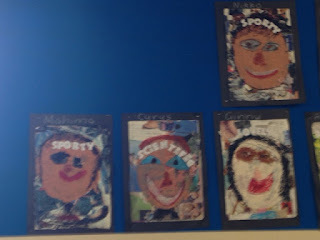 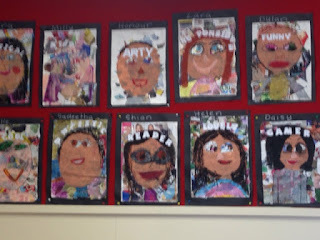 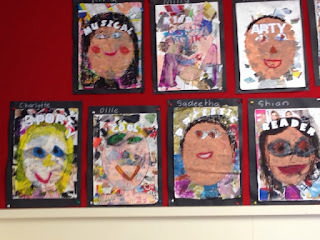 In Kiwi Iwi /room 9 we decided to do self portraits./ We first started off by getting a piece of large paper and using glue and gluing on little scraps of news paper. 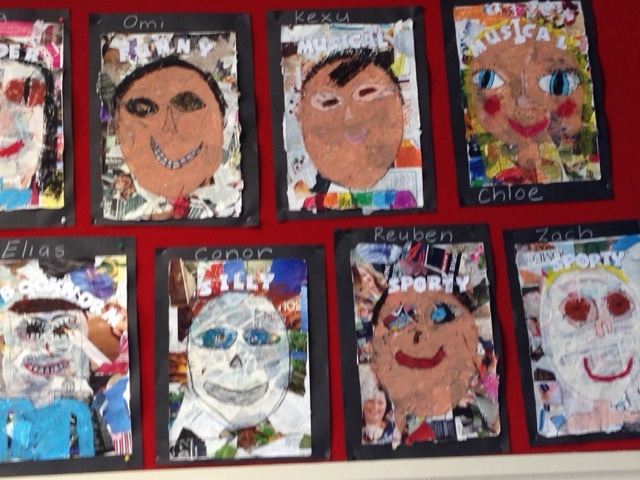 After we glued on the news paper we then outlined ourselves. 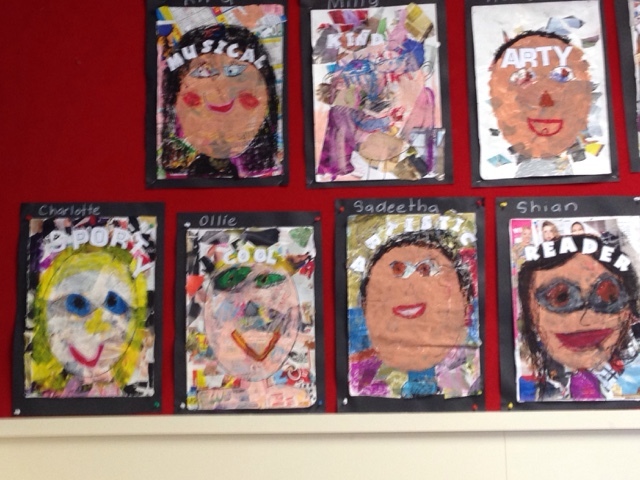 Then we painted our skin colour and we drew on our face and accessories. Then we told the teacher what our hobby was. 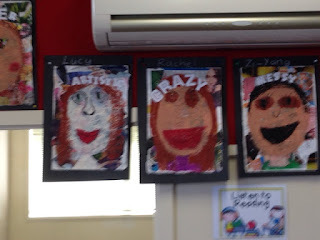 It was a master piece of art, it doesn't matter if it looks weird!